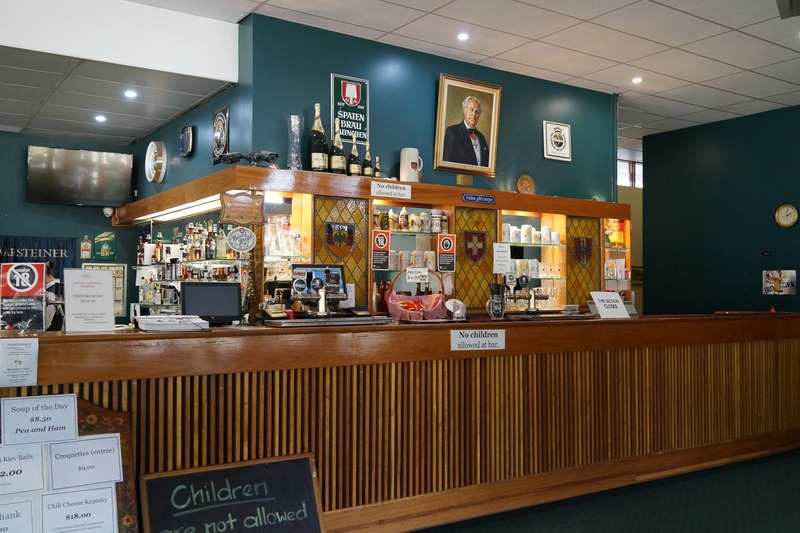 The Concordia Club is dear to our hearts. Firstly for being so un-inner-west and inner-west at the same time. 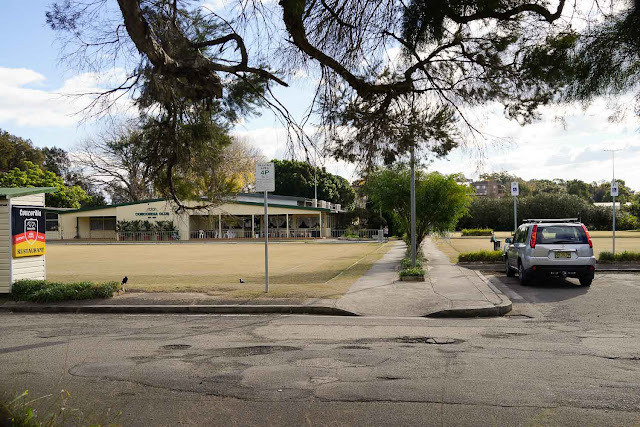 It's housed in a vintage bowlo between a park and the Cooks River - think trees and space with a family/beer garden vibe. Secondly, the food is a bit sensational. 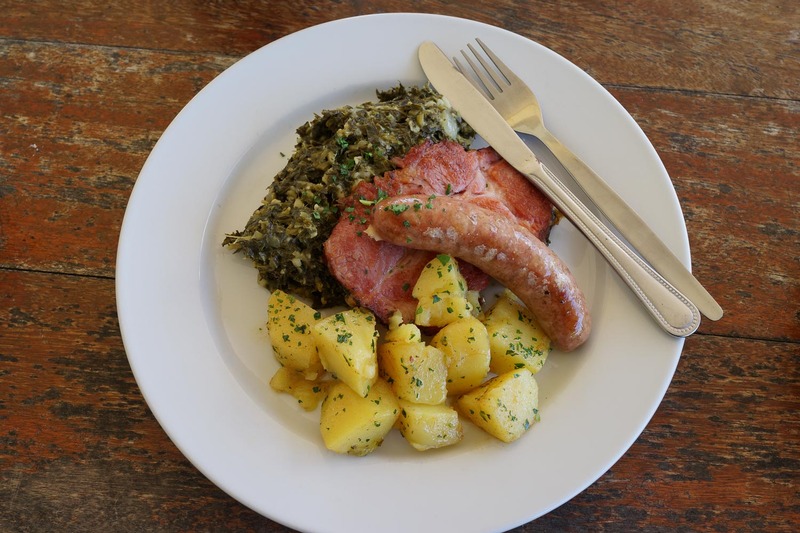 We know zilch about German food, but we are confident in knowing good cooking when we taste it, and it tastes very un-Strayanized to us, similar yet not to the skippy food we both grew up on. 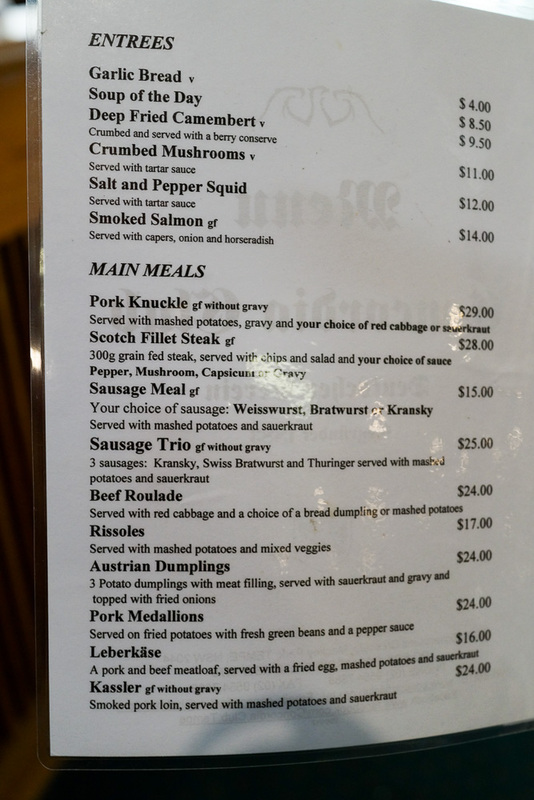 A lot of folks go for the schnitties which are great, but it's the meat'n'veg dishes we do a little happy dance for. Other folks cross town for the pork knuckle. Kiddies recommend the nuggets'n'chips and running around like nuts. 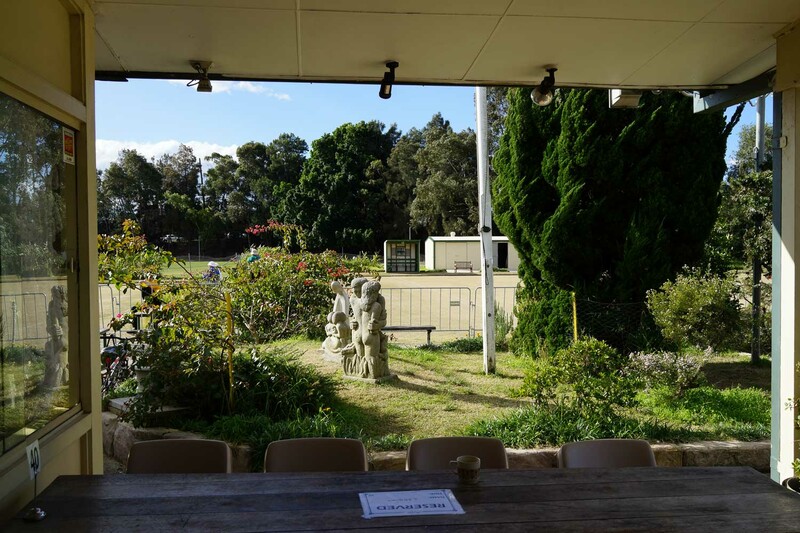 An afternoon feed and pint on the terrace or hiding around the corner on one of those Sydney sunny winter afternoons can be other worldly - it's something that just can't be recreated in an upmarket restaurant or theme joint. The Concordia Club is special. Get in now because it's another one of those old gems to be appreciated while you can. This area is changing fast. 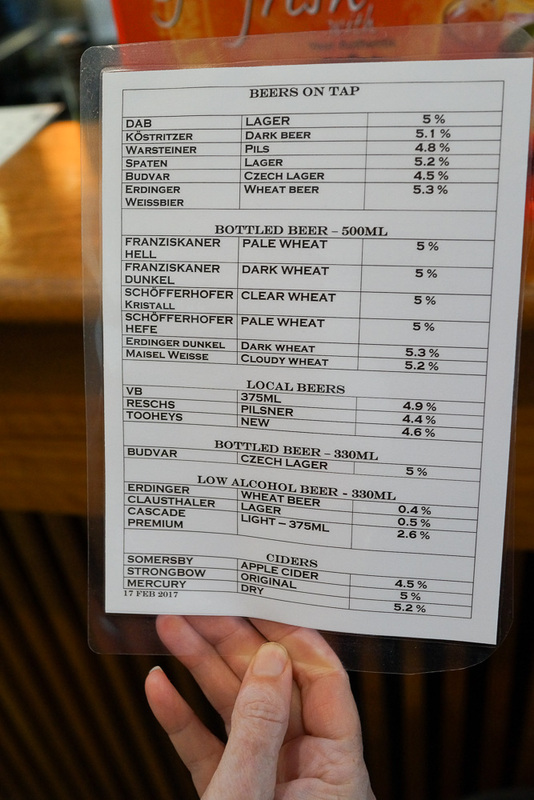 Oh, and yes, there's beer of course - half a dozen German beers on tap around the $9 per pint mark, add this to your inner west beer map. 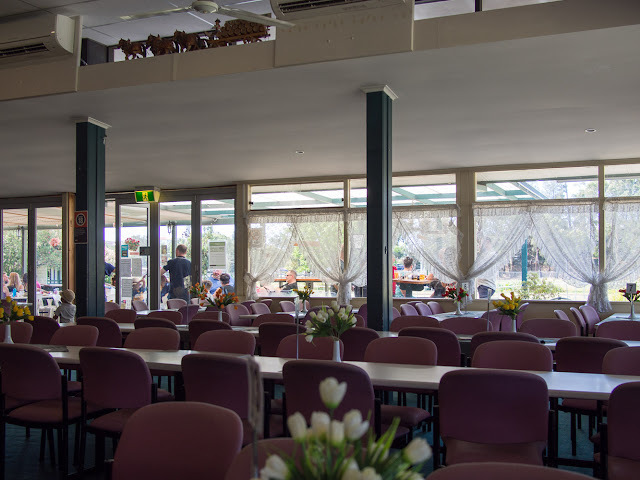 There's plenty of room for family functions, it can pack out on Sundays. We've come to like Saturdays when a tables are much easier to come by. Leberkase - $16.00. 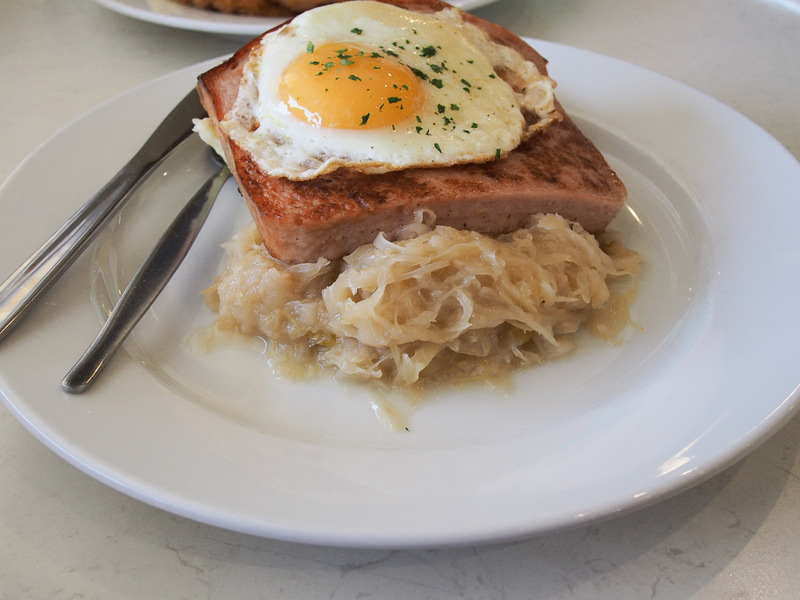 Pork and beef meatloaf on mash and sauerkraut with a fried googie on top. 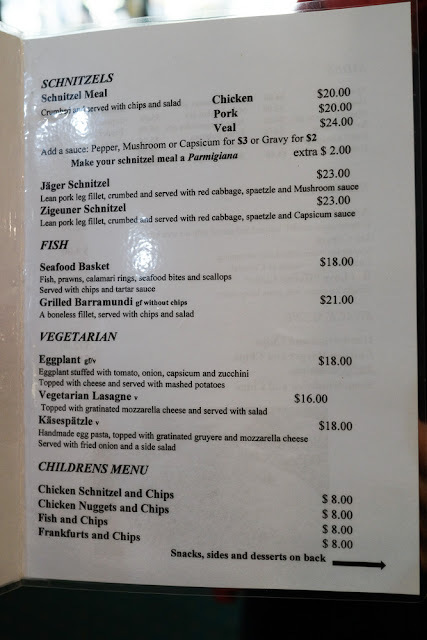 Zigeuner schnitzel - $23. 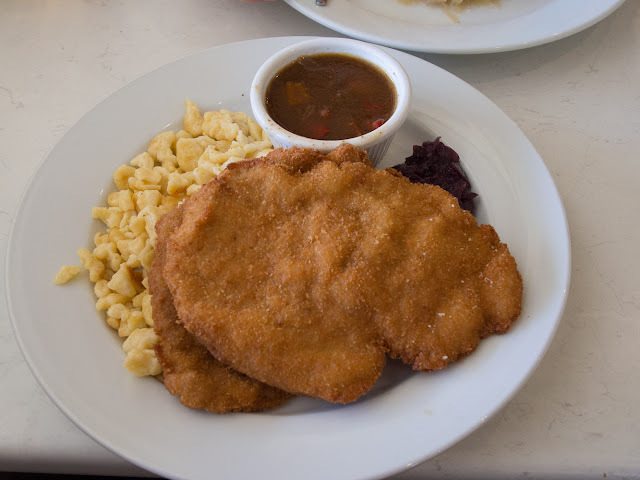 Pork leg schnitty with red cabbage, spaetzle and capsicum sauce. Grunkohlessen - $22 (or $27 large). We are most food-nerdily excited to learn they do seasonal classics here.The bardude tells us grunkohlessen is a seasonal dish from Northern Germany - made when the kale is sweetened by the autumn frost. The kale is like tabouli - chopped with parsley, it brings a lovely fresh zing to counter the smoked sausages, pork neck and tatties. Highly recommended. Beef roulade - $24. 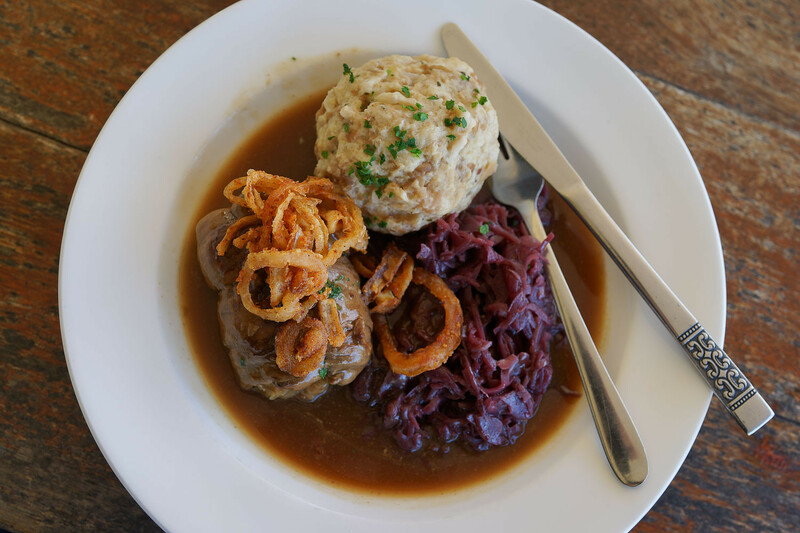 Roulade is slow simmered bacon wrapped meat, served with red cabbage and a bread dumpling (or mash). There's a perfect ratio of protein, stodge and tangy veg. Yeah baby. Cakes are only five bucks, bargain! 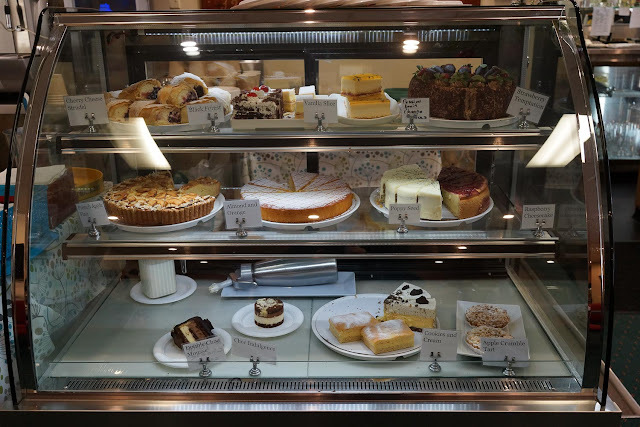 Order from the little cake'n'coffee stall next to the bar. Sometimes we drop in just for cake after lunch in Wolli Creek, waddling home happy. 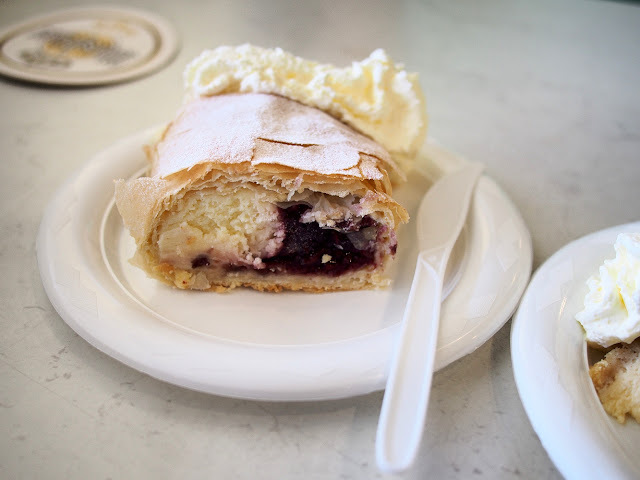 The cherry cheese strudel is sensational, our pick of the desserts so far. 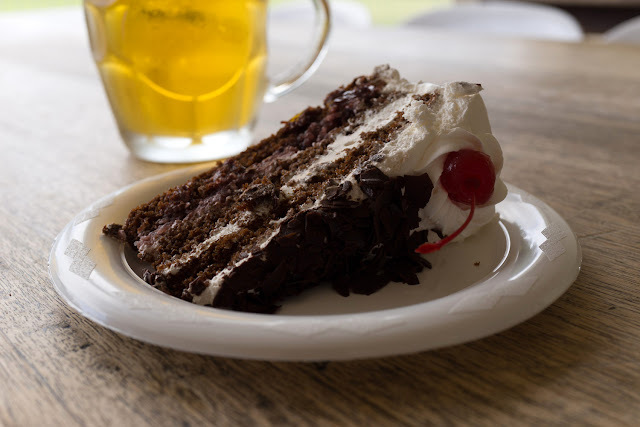 The black forest is less of a standout, but goes well with beer. 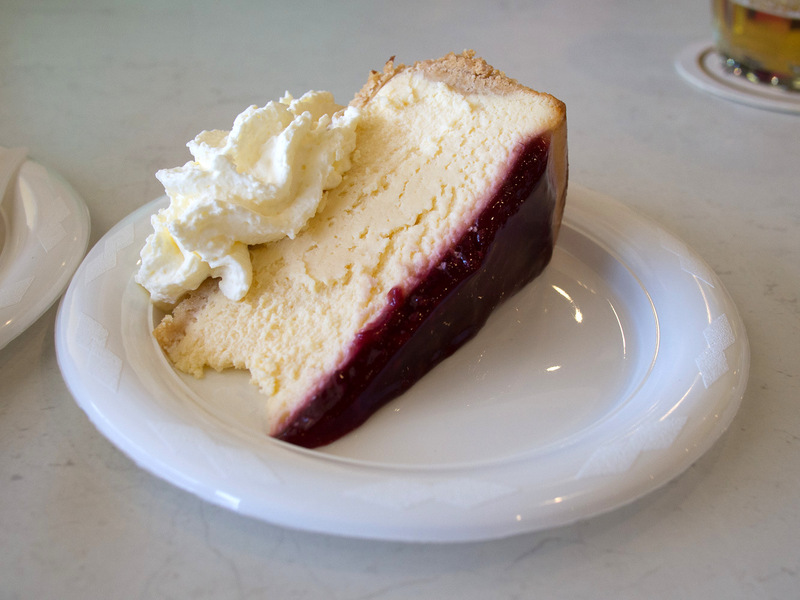 Raspberry cheesecake is a corker and goes well with beer. So does beer. 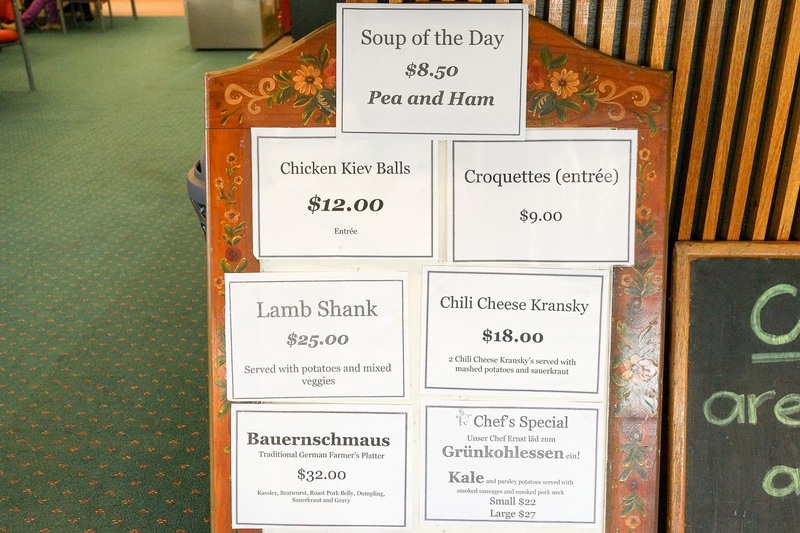 Check the specials board by the bar as you order a brewski. We drop in a lot for a beer - real German beer on top at around nine-ish bucks a pint. 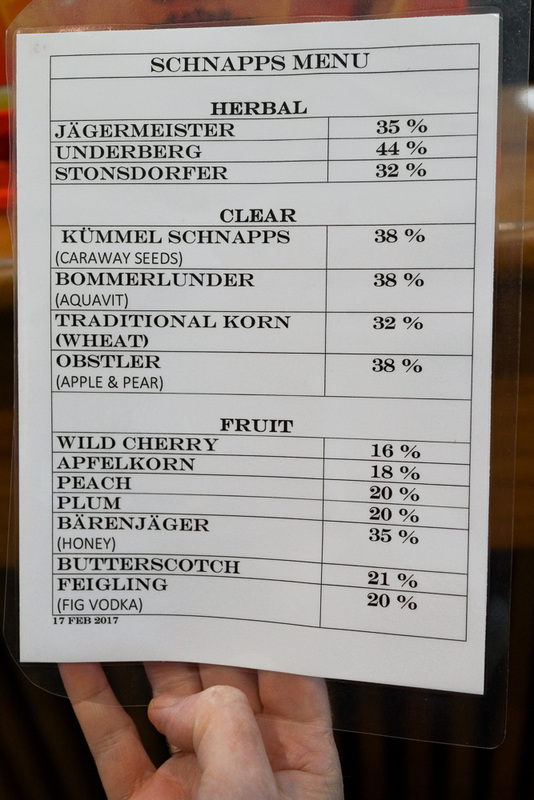 ...and today we discovered the schnapps menu. 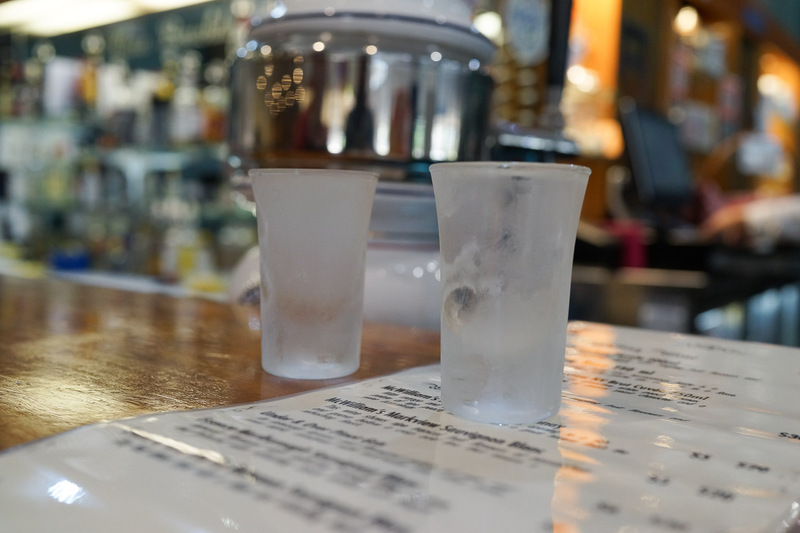 The barfolks recommended the Kummel schnapps which they store in the freezer, along with glasses. It's like subtly herbal vodka, highly recommended. The bar staff tell us the regulars often order schnapps to nurse alongside a beer, we will be trying this next time. The bowling greens are still maintained, though we see more croquet than bowls. 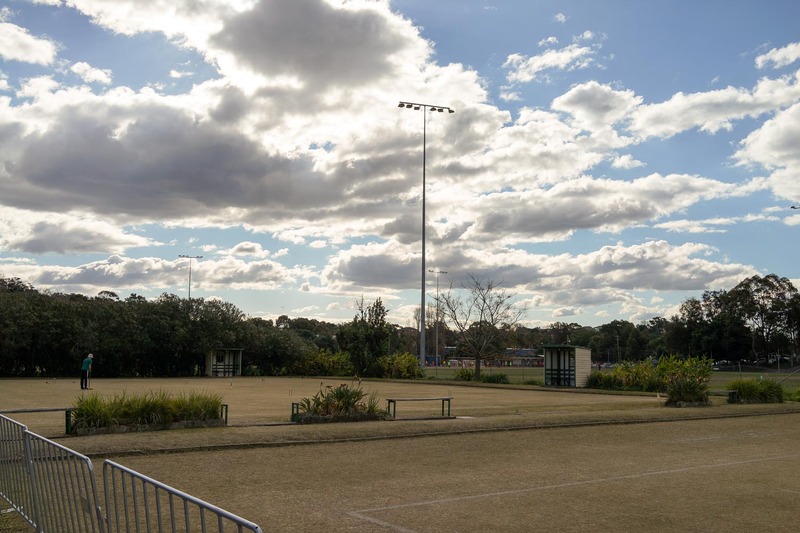 More importantly - there's loads of room for kiddies to run around, this place is a very popular meetup for locals with young families. Sitting on the front porch sinking a pint as kiddies go nuts on life is a little bit of inner west heaven. 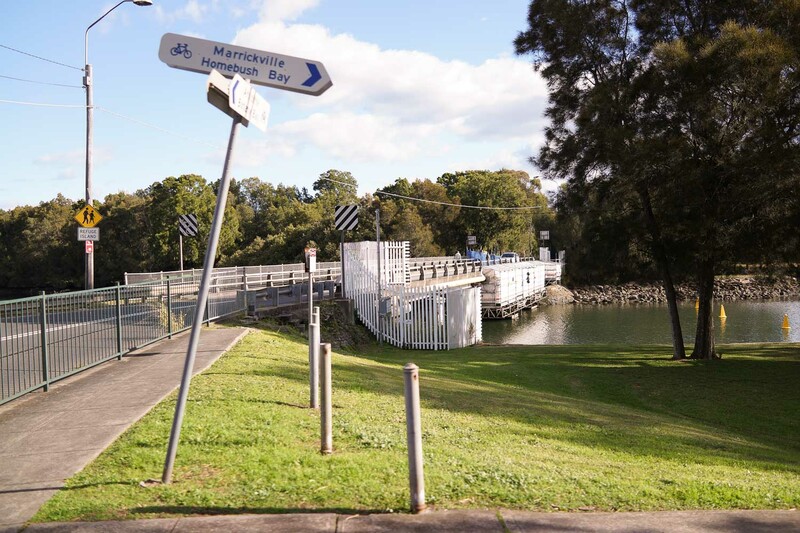 The Concordia Club is at Mackay Park, Richardson Crescent, Tempe - it's opposite Tempe train station, backing onto the Cooks River - which we highly recommend a stroll along to work off your schnitzel. The Concordia Club is open Friday to Sunday - check their website for events and holiday closures - www.concordiaclub.org.au. 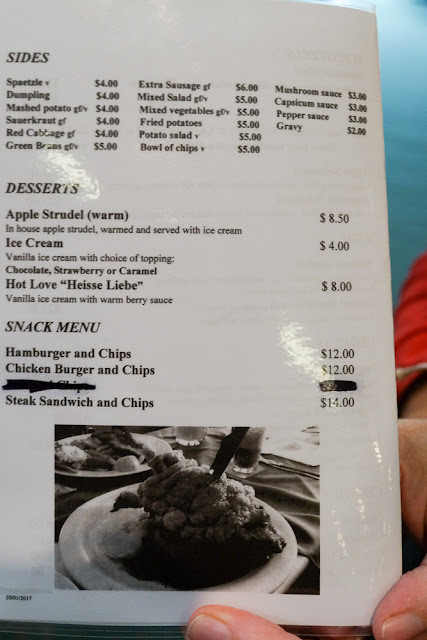 You had me at deep friend camembert :D Planning on heading to Wolli for lunch today, hopefully can convince the hubby to follow it up with strudel!! THe Knuckle and a pint or three of German beer. Does life get any better?! And they sell chewy German pretzels behind the bar, too.